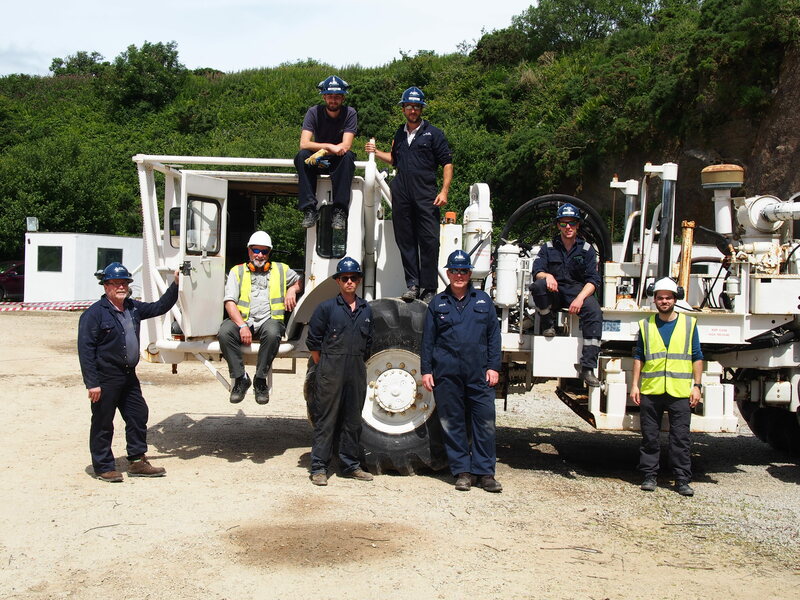 Avalon Sciences were pleased to facilitate a Masters Project study at the Avalon Borehole Test Facility in Rosemanowes Quarry, Cornwall. Dr. Roger Clark (Senior Lecturer in Geophysics: MSc Exploration Geophysics Programme Manager, University of Leeds) and César (Dario) Cantú Bendeck (Masters student) approached Gary Tubridy and William Wills from Avalon at the EAGE conference in Vienna to help facilitate a VSP (Vertical Seismic Profile) survey in our deep ex hot rocks wells in Cornwall. The aim of the project is to see the effect of attenuation in the fractures zones, and the stimulated area within the lower part of the well. 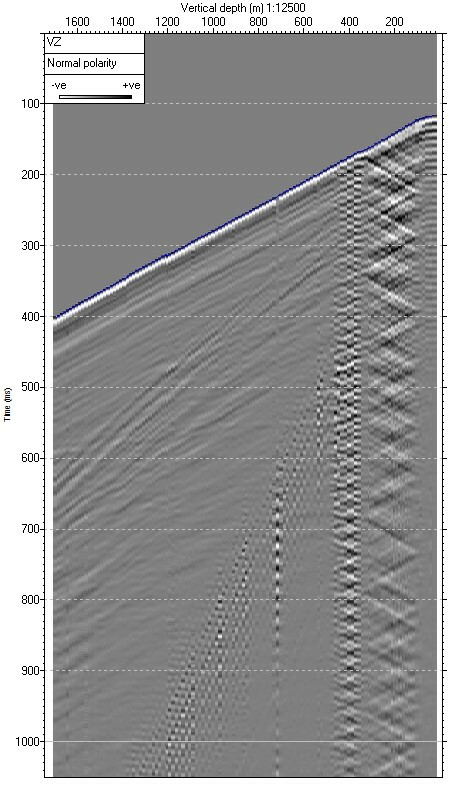 By comparing these sections with non-stimulated areas, Leeds University hoped to analyse and characterise the ‘Q’ response of different zones, which could then be applied to other VSP data to help add value in its role in fractured reservoir characterization. Plan view of RH12 wellhead with local near offset source positions and raw stack of source position 4 in RH12. In July 2016 ASL deployed a 15 level GeochainSlim high temperature borehole seismic system with the RH12 well, longing every 15m from 1800m to surface. At each receiver depth vibroseis sweeps were made at four close offset positions (with the hope of creating fractures and non-fracture direct P-down travel paths). The entire survey was shot over 2 days with no downtime and positive feedback from Leeds University. The Operations team are pleased to facilitate such a high scale survey for an Academic application and wish Dario the best of luck with his processing and interpretation of the data.